Throughout Israel's history Israel has been faced with provocation and always you- its supporters worldwide have played a great part in overcoming these trials. The recent flotilla affair, obviously contrived to provoke and deprecate Israel, is one such provocation. Such events set a divider between those supporting Israel and the truth and those seeking to harm it at all costs. 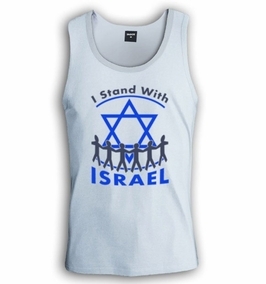 It is time to show where you stand and support Israel once more! 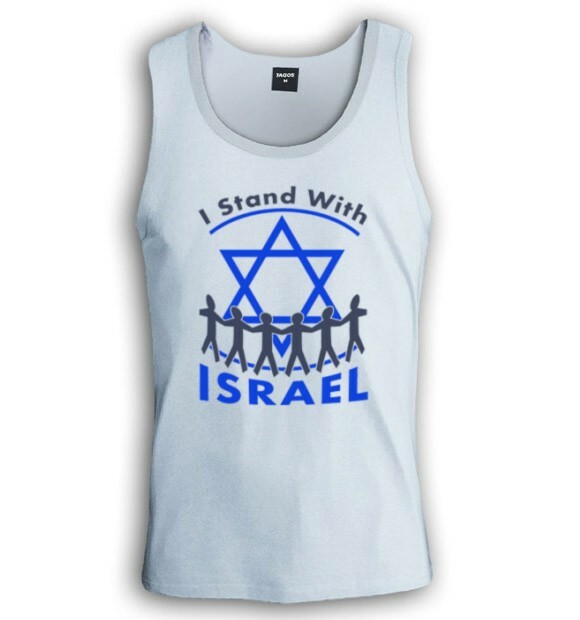 Wear this "I stand with Israel" T-shirt depicting Israel's followers worldwide gathering around the Star of David under the banner "I Stand With Israel" to show that you, once more, support Israel in its time of need! Our t-shirts are made of 100% cotton and are long lasting with bright colors. Our products are all designed and printed in Israel.